Hi, I’m Jacqui. I live in Melbourne, Australia and I care about cherishing and nurturing the hearts and minds of children, teens and young adults through writing and publishing stellar stories. My values include sharing and helping one another; respecting our unique souls and journeys; encouraging young people to explore positive and intriguing paths; and communicating through the language of love of life. I am inspired by creating imaginative plots, characters and themes that give different perspectives on life through the fabulous frontiers of contemporary and ancient wisdom. I like to think of it as turning the kaleidoscope for a new, different and colourful picture, which can inspire the way we think about our today and tomorrows irrespective of age or circumstances. I’ve taken many paths in life sometimes zigging when I should have been zagging; contributing to roles including in government policy, education and training and as a massage therapist in my own business. My qualifications include a Bachelor of Business, a Graduate Diploma in Education and certificates in Massage Therapy and other healing arts. All experiences, including a course in writing for children, have added to my heart and soul store. Currently, I’m studying towards certification with the Association of Professional Astrologers Australia, so stay tuned. When I’m not working or writing, the ocean, music, having fun with friends, humour and exploring life’s mysteries energise me. Sacred journeys to Egypt have extended my imagination and fascination with hidden truths, which tend to be overlooked in the hustle and bustle of daily responsibilities. No matter which zig or which zag I’m on, story writing remains the constant in my life journey where I connect heaven and earth for children and teens to read, reread, think and talk about. 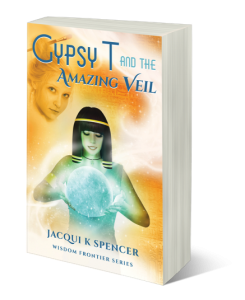 Gypsy T and the Amazing Veil for 11-15 year olds and above is a positive and uplifting story with transformative and mystical twists. It is available to order from all book shops and online. The first chapter is available when you join my community – click here for more details. Just before her fifteenth birthday, Gypsy’s life takes a catastrophic turn. The folio she had slaved over to win a scholarship to Art College is wrecked in a crazy schoolboy skirmish. Gripped by misery, she trudges through the park with her dog. There she encounters Janna, an artist wearing a veil, who offers to coach Gypsy to produce new art pieces. 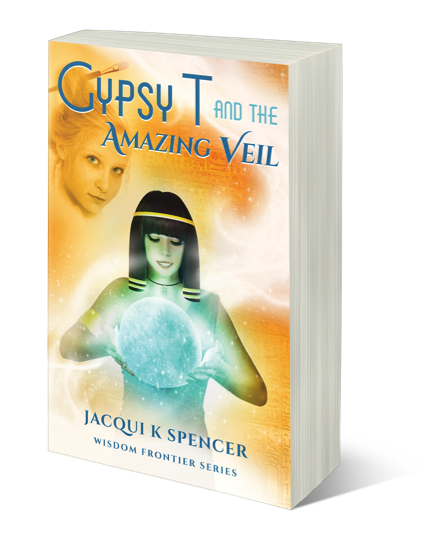 Is Gypsy imagining the whispers and sparks of light hushing around the amazing veil Janna’s wearing? And why does Janna forbid her touching it? Gypsy’s ten-day struggle to pick up the pieces of her dream is entwined with ancient wisdom; a journey of self-awareness with five school friends; the jealousy of her girlfriends; and betrayal– including her own. A fabulous and mystical occurrence, where the amazing veil transforms her into an Egyptian Priestess and she disappears into the Temple of Lunu to participate in a glorious full moon ceremony, leads to a dawning realisation of her cosmic significance and a destiny she realises she must embrace. Gypsy has several strange and wonderful experiences with the amazing veil owned by Janna, an artist who offers to coach her. Gypsy stroked the fabric gently and began to feel light-headed. As she looked down at her hands, she was astonished to see that they were glassy and glowing a luminous shade of royal blue; and through her mind a curious, soft voice said, you are the altar of the Moon bringing creation and harmony to the grace of the Sun. She whispered it out loud and as she did so the veil sparkled with thousands of diamond-like stars. Again, she whispered, I am the altar of the Moon bringing creation and harmony to the grace of the Sun and the veil twirled, sylph-like, into the air, shaped itself into a priestess sheath-dress and merged around her body. Without thinking, Gypsy stood and then knelt on one knee with her head bowed. In her mind a picture formed of a beautifully emblazoned winged scarab nurturing the hope of tomorrow on an altar between its forelegs. All around her body, stars sparkled, colours glittered and a chorus of glorious harmonic notes echoed. In the intensity of the moment she straightened her spine, looked forward, majestically, and was transformed into an ancient Egyptian priestess. So what inspires my art? A strong belief in myself and the strange things I’m experiencing. Especially the mysterious stuff. Life is not always what it seems. It can be chaotic, eccentric even. Not many people will understand but I love it. It’s intuition. It’s unending. That’s it! It’s unending. The link to now is the past, many pasts. And it’s also the key to the future, taking every experience as a gift, as a chance and a choice to learn. My artwork will now express the different angles on life I see or sense. My paintings will provide an answer to big questions. My art will connect to spirit. And what is it I said to Janna? I want my work to be an inspiration. A revelation; especially for young people. I’d like my work to provide that sudden shock where people connect with their soul and higher consciousness. Jacqui’s first novel for 11 – 15 year olds, Gypsy T and the Amazing Veil, was inspired by her desire to present awareness and wisdom she wished she knew earlier in life in a story format. “Recognising our consciousness and increasing our mindfulness enables clearer insight into ancient and contemporary wisdom and how it can be helpful in our lives,” she says. Jacqui’s stories promote exploration of the frontiers of wisdom so that young people have broader concepts to draw from earlier in life as they create their own future. Refreshingly, the characters in the stories display the strengths of both male and female principles in positive ways. Negative attitudes and behaviour are held up for question and encouragement given to jump tracks and develop an expanded psych and frame of reference. Unlimited and joyful opportunities abound. 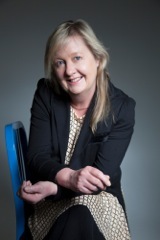 Jacqui values looking at life from different perspectives and her stories reflect this. Jacqui’s second novel, “Raz’s Epic Holidays” for 9-13 year olds will be released before Christmas. You can gift the awareness and wisdom you wish you’d had earlier in life through these fabulous stories. Jacqui cares about cherishing and nurturing the hearts and minds of children, teenagers and young adults through writing and publishing stellar stories. The first novels offered by Wisdom Frontier are “Gypsy T and the Amazing Veil” for 11-15 year olds and “Raz’s Epic Holidays” for 9-13 year olds (to be published and available before Christmas 2015). Other stories and sequels are being conjured up and created, so stay tuned! 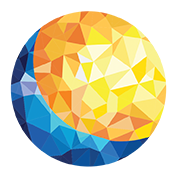 If you’re curious about new and different perspectives and looking for fascinating stories please contact us we would love to hear from you.